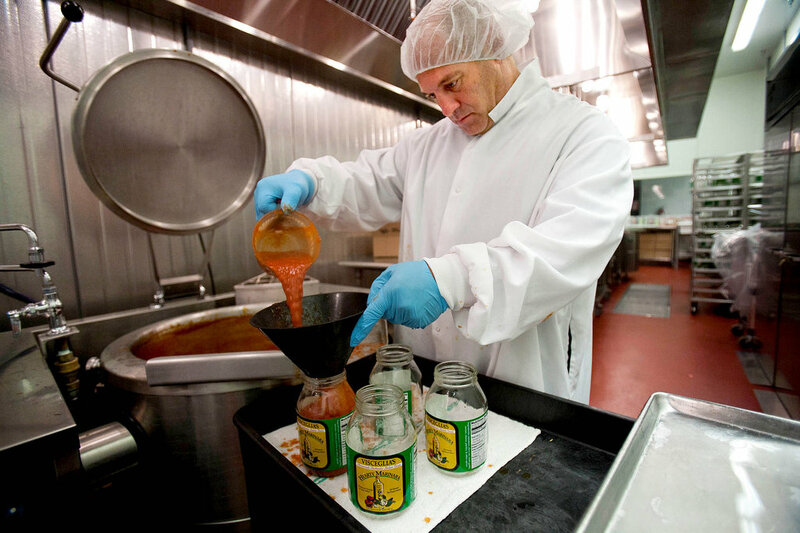 WHEN Innocenzo and Michele Visceglia stopped making their pasta sauce at the Rutgers Food Innovation Center here in late August, it was the end of an era — but not the kind of era would-be food entrepreneurs might feel reluctant to bid adieu. Every Wednesday since early this year, when the Visceglias first began using the compoundlike center’s equipment and space, they rose at dawn and traveled 45 minutes to get here from their home in Williamstown, near Glassboro. By 7:30 a.m., they were suited up in the center’s regulation white smocks, rubber boots and hairnets. Around 3:30 or 4 p.m., they emerged, exhausted and splattered in the day’s yield of 600 quarts of tomato sauce.